Shrubs add structure and height to the garden. Waldoch Farm has a variety of blooming shrubs to add the season color wanted while providing that second tier of the garden. Hydrangeas, Easy Elegance Roses, Viburnum, Ninebarks, Spirea and always a few unique things you didn’t even know you were looking for. Let us connect you with the shrubbery you need in your yard. The perennial nature of shrubs translates into lasting structure and color in your landscape. The perennials offered at Waldoch Farm provide great companion plants to go in and around your shrubberies. We invite you to explore our Garden Center to find new and unique varieties of perennials - as well as some old favorites. 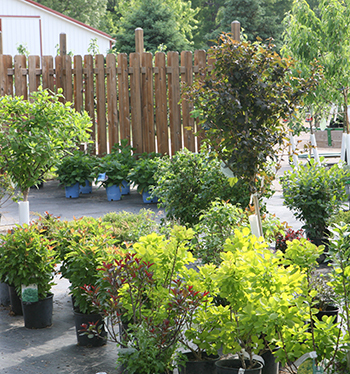 We pride ourselves in our diverse selection of perennials.